Recent release “Another Anastasia” from Page Publishing author Kathleen Hennessey is both entertaining and suspenseful; this work keeps the reader guessing through the twists and turns of a ghostly story. Kathleen Hennessey, an educated writer, animal-lover, avid reader and now author has completed her book “Another Anastasia”: a gripping and potent journey across time and countries. Read along as the main character, Anna, investigates her true identity and battles evil to save her now vampire family. Published by New York City-based Page Publishing, Kathleen Hennessey’s spellbinding work will keep the reader on the edge of their seat! Anna Roman is not normal. For as long as she can remember, she has suffered from visions, which she blames on an overactive imagination. When these figments from her imagination start appearing at school, she assumes she has gone insane. But are these people imaginary, or are they from a past she can’t seem to remember? After a kidnapping and a whirlwind trip to Russia, Anna discovers the truth: that she is Anastasia Romanov reborn and that her family never truly died. With the help of the infamous Rasputin, they were turned into vampires and are still alive today. But Anna is left wondering how she came to be reborn as she begins to remember her past lives. Anna might finally have the family she’s always wished for, but she soon discovers that not everything is as it seems. The vampires are trying to start a war on humanity, and Anna has to pick what side she’s really on. 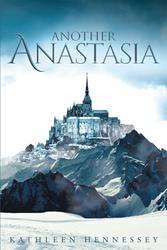 Readers who wish to experience this captivating work can purchase “Another Anastasia” at bookstores everywhere, or online at the Apple iTunes store, Amazon, Google Play or Barnes and Noble.